The Turkish electronics company Aselsan has signed a $43.6 million U.S. agreement for the sale of its communications systems to Ukraine’s state-owned defence conglomerate UkrOboronProm. As per Turkey’s state-owned Anadolu Agency, Aselsan announced the sale on October 10. The company expects to begin deliveries in 2018. 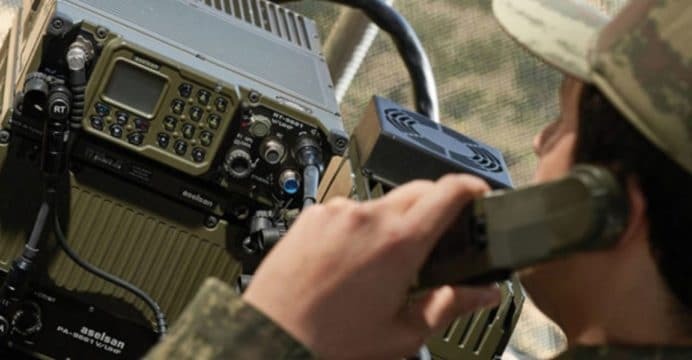 In May, Aselsan announced that it was looking to secure a contract to supply very high frequency (VHF) radios to the Ukrainian armed forces. Ukraine issued a tender in 2016 for the contract, which could see up to 600 VHF systems being bought. Kiev and Istanbul began undertaking serious steps to strengthening bilateral defence industry relations in 2016. During the 2017 International Defence Industry Fair, which took place in Istanbul in May, UkroBoronProm signed a memorandum-of-understanding (MoU) with Aselsan to source an avionics suite for the Antonov An-158 airliner and An-178 military transport aircraft. Ukraine has been seeking overseas partners to help it revive and/or secure many of its defence programs, which have been in standstill due to insufficient state funding. Kiev has committed to changing this issue by undertaking a military re-armament effort wherein it aims to “bring [Ukrainian] weapons to the level of the 21st century.” Foreign sales and partnerships are integral this effort, as evidenced in Ukraine’s new T-72AMT, which incorporates a radio suite from Aselsan. Other partners include Saudi Arabia and Pakistan, which have bought into Ukrainian aviation and armour solutions, respectively. Likewise, Aselsan’s products, notably its line of software defined radios, have also made in-roads in the Saudi and Pakistani markets. The Turkish and Ukrainian industries share common markets, which may provide incentive for collaboration as well.